A little devil in the iconic Halloween Jack-O-Lantern, returns in a more exquisite and smaller form. Does it look more wicked or lovelier? 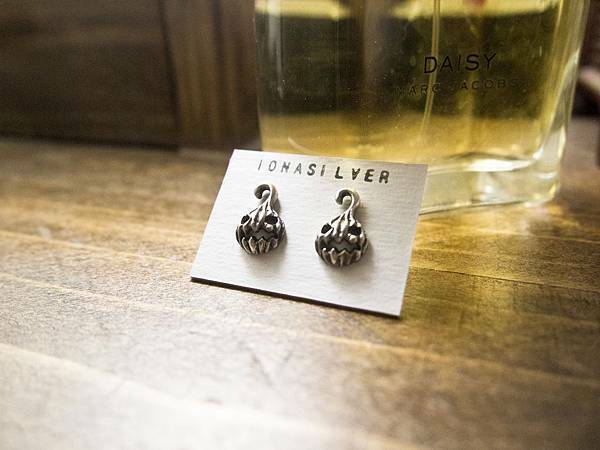 A earring card is provided for you to keep them conveniently. The Logo on it is hand stamped by the designer, as a commemorative signature of the brand.